On our way to the shops last weekend, D insisted that we make a detour through Gowan Road. He read reviews that a new Malaysian restaurant just opened in Gowan Road Shopping Plaza. As we drove past, we noticed that the restaurant was closed due to public holiday. We made a mental note to return during the week to check it out. Taste of Penang is located in the shopping centre next to Runcorn Tavern. As we walked in, we could smell the aroma of ‘hawker food’ lingering in the air. 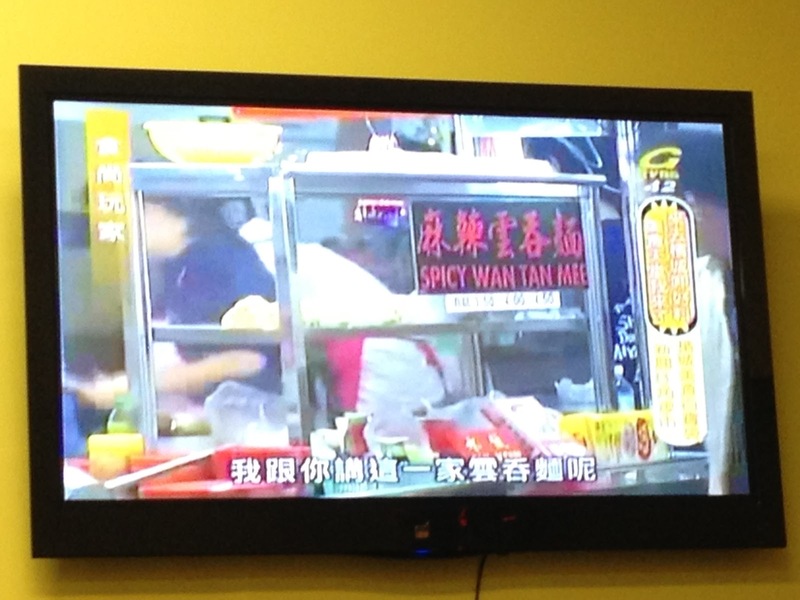 The atmosphere was enhanced by the Penang Food Documentary showing on TV that featured the famous Gurney Drive. There is no table service, so you need to choose what you want and order at the counter. 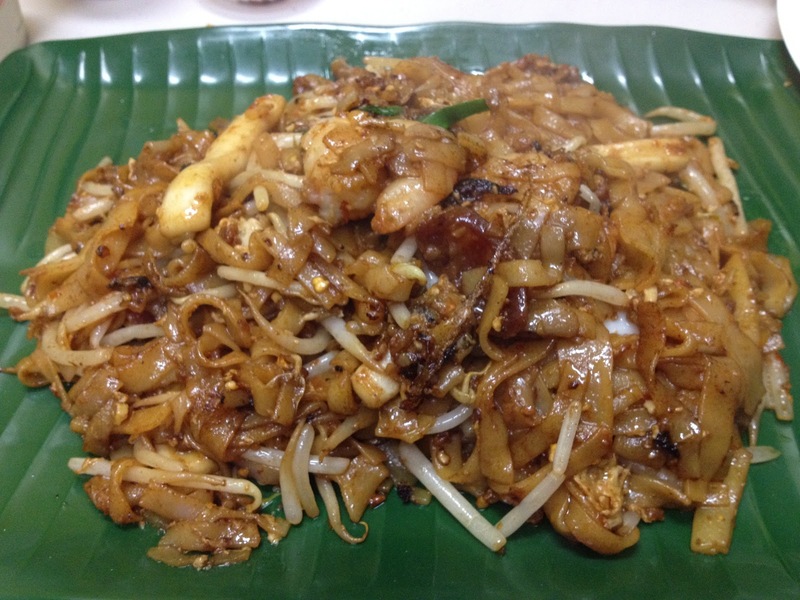 We ordered Lorbak ($6.8), Char Kuey Teow ($12.80) and Chicken Curry Mee ($11.80). 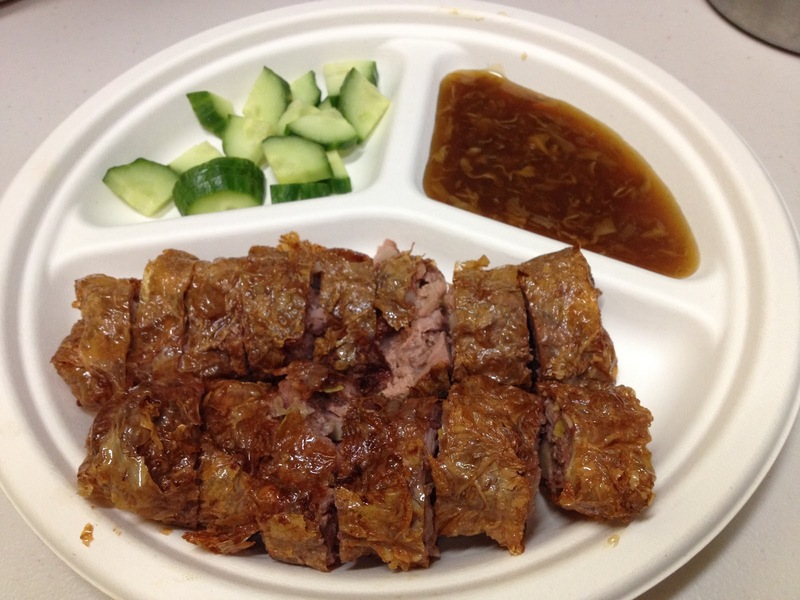 Lorbak is a deep fried pork roll seasoned with five-spice powder. The bean curd skin was really crispy but I found the meat to be just average. The flavour of the Curry Mee (noodle) was quite authentic, but a bit mild for our tastes. There were a few jars of chilli paste next to the counter which could easily fix the ‘mildness’ of the soup. Char Kuey Teow was the star dish for me. It tasted just like the one I had in Penang last December! I ordered medium-spicy, which was just right for my tastebuds. It also came with a generous ½ dozen perfectly cooked prawns and a few strips of squid. This is now my new crowned favourite char kuey teow in Brisbane! For a few moments, I felt as if I was in Penang, enjoying all the local specialties. We love this place and will definitely return. The best part is that we don’t have to go too far (or fly overseas) to satisfy our Penang hawker food cravings. Also tried the char kuey teow there. Definitely the best I've ever had around Brisbane!!! I agree. Will definitely recommend their char kuey teow. 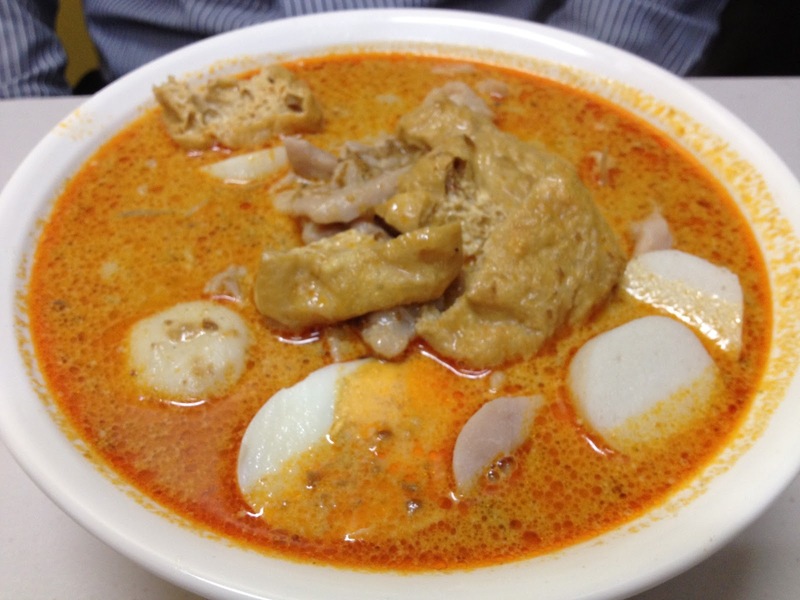 I have recently tried their Asam Laksa and it was pretty good too.